For many, learning to drive is a rite of passage. The moment you first receive your driver’s licence heralds an exciting new life of independence and maturity. But, there’s a catch. In the blink of an eye, you go from a learner driver - statistically the safest on the road - to a member of the most at-risk group of all – new P-platers. Dubbed ‘Jekyll and Hyde syndrome’ this phenomenon should be a serious concern for all young drivers and their parents. In New South Wales, young drivers make up only 3 percent of the driving population but represent more than 20 percent of the road toll. In Western Australia, that rises to 29 percent. During the past 10 years, more than 350 young lives have been lost in Victoria and young drivers are 30 times more likely to be in a crash than other drivers. Why are young people and novice drivers at risk? So what lies behind this disturbing phenomenon? Why are our young drivers so vulnerable? Well, the good news is that while new drivers can’t magically gain experience overnight, they can avoid the majority of factors that increase their risk to other road users. Driving at high risk times: Young drivers are more likely to crash late at night, especially on weekends. 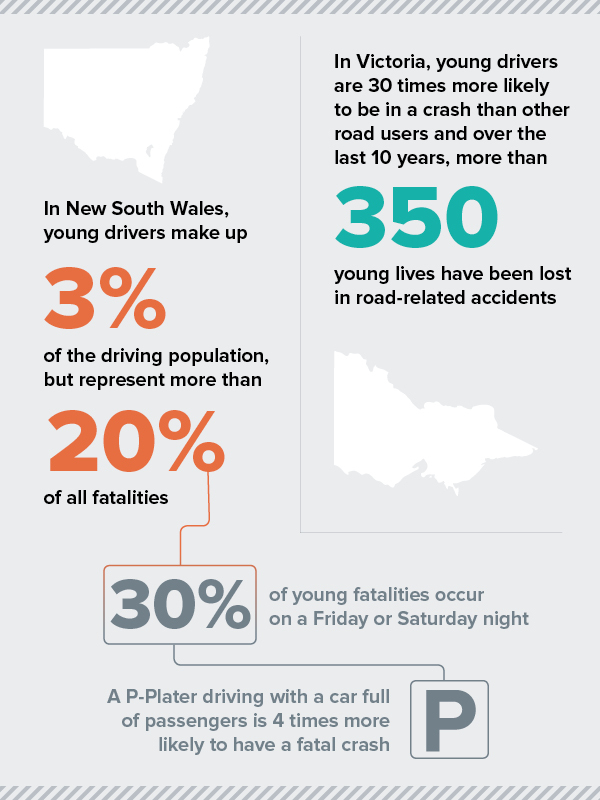 In NSW, 30% of all young fatalities occurr on Friday or Saturday night. Peer passengers: Road tripping with your mates may be fun but peer passengers can be seriously distracting and encourage risk-taking behaviour. One study found that P-plater cars full of passengers are four times more likely to have a fatal crash! Driving under the influence: No surprises here. The presence of drugs or alcohol in a driver’s system are a serious risk factor and one that can easily be avoided. Technology: Texting, fiddling with GPS coordinates and even blasting music all pull a driver’s eyes and attention away from the road. Rust buckets: Young adults are more likely to drive lower quality cars. Although easier on the bank account, these cars often come with fewer or lower quality safety features. Disobeying road rules: Young drivers are also more likely to take needless risks or forget the road rules they've just learned. It goes without saying that a fundamental way young drivers can stay safe on the roads is by avoiding the high risk factors mentioned above. That's why governments across Australia place restrictions such as curfews, passenger limits and strict bans on electronic devices for P-platers. But safe driving isn’t just a list of things to avoid. Novice drivers should work proactively to improve their skills, increase their comfort level in tricky situations and develop a healthy attitude towards risk. Driver schools, advocacy campaigns and governments now recognise that cultivating these skills is more important than simply attaining a limited number of hours and checking off manoeuvres in a driver’s exam. 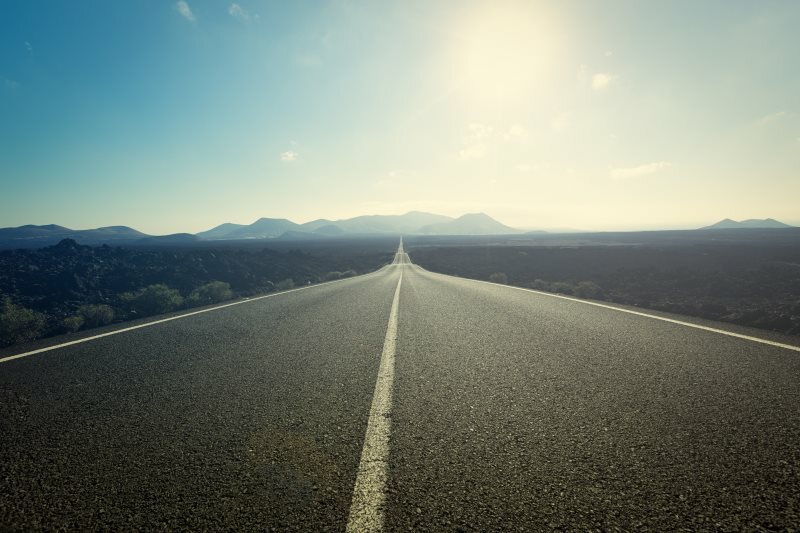 Although hard work initially, these added safety precautions will pay off over the life-long road ahead. If you or a loved one has been involved in a motor vehicle accident, you may be entitled to compensation to help you get back on your feet. At Shine Lawyers, we're motor vehicle accident claim experts who can handle your claim on a No Win, No Fee basis. Get in touch today for more information or to organise an obligation-free first consultation to discuss your rights. Written by Shine Lawyers on December 18, 2017. Last modified: August 31, 2018.